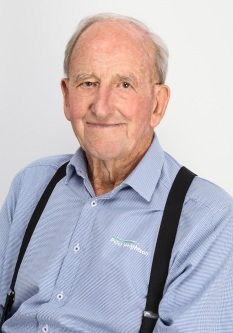 Stewart Morrison has sold real estate in the Whakatane area with PGG Wrightson Real Estate since the 1990s. During this time, he has been involved in a large number of property transactions in both the residential and rural sectors, and has been included amongst the top 10 salespeople in the company residential/lifestyle ladder several times. Like many PGG Wrightson Real Estate salespeople, Stewart knows farming. He was previously a dairy farmer and now owns a kiwifruit orchard so has the experience and knowledge to competently assist his clients. Stewart is proud to work under the PGG Wrightson Real Estate brand, which he appreciates is part of New Zealand’s largest agricultural servicing company. Clients have access to a wide range of services including rural supplies, livestock, wool, seeds, irrigation and farm consultancy. Stewart is a respected member of the local community and is highly regarded for his integrity and unassuming manner. He is a very keen sportsman and his abilities on the squash court are legendary. Stewart is happy to assist whether your interest is residential, lifestyle or rural property.